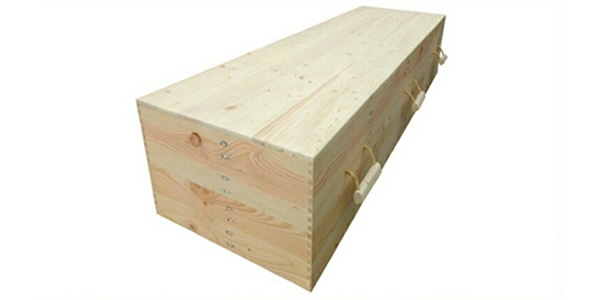 We have handpicked the best in beautifully designed, well crafted and ethically sourced and produced coffins and caskets. If you’ve seen something you like and it’s not listed here, please get in touch and we’ll source it for you. 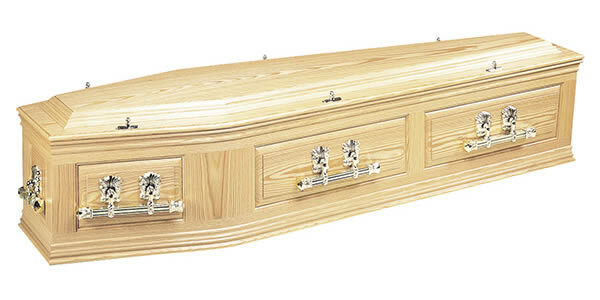 Simple Coffin – A cost-effective veneered oak coffin, constructed and polished to a high standard by craftsmen in Ashbourne in Derbyshire. The Derwent – An affordable oak veneered coffin with solid oak mouldings, square embossed panel sides and a double raised lid, constructed and polished to a high standard by craftsmen in Ashbourne in Derbyshire. 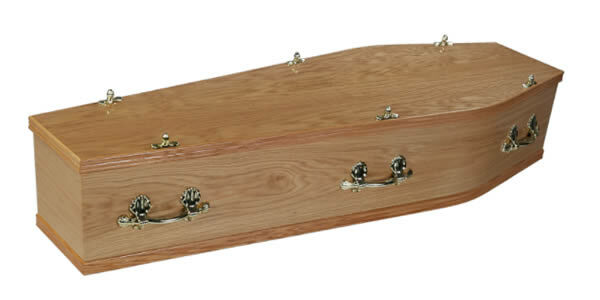 The Chesterfield – A beautifully made solid oak coffin with large solid oak double mouldings, routed panel sides and ends and a double raised lid, constructed and polished to a high standard by craftsmen in Ashbourne in Derbyshire. 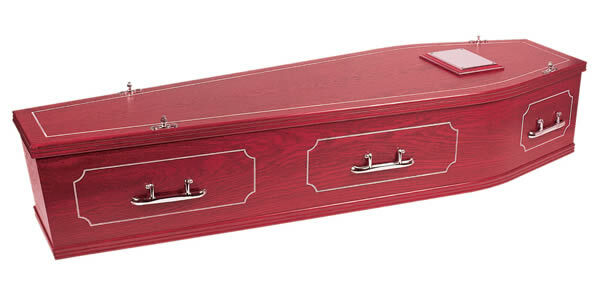 The Oxford – An Oak style veneer coffin engraved with contrasting fine panel details. Available in any colour from the Dulux or Farrow & Ball colour chart. 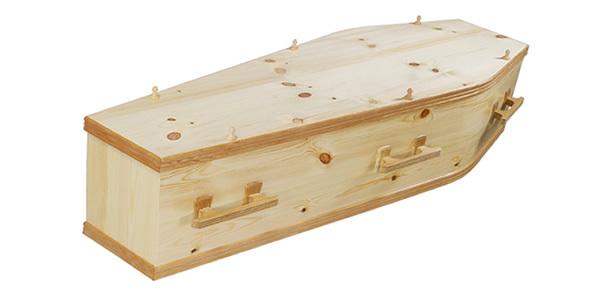 The Sherwood – A beautiful and simple solid pine coffin with solid oak mouldings with a matt finish, constructed and polished to a high standard by craftsmen in Ashbourne in Derbyshire. 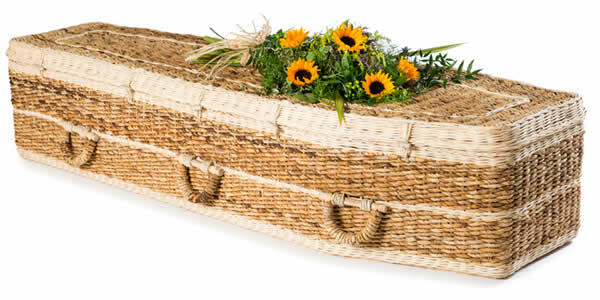 Ideal for natural burial. 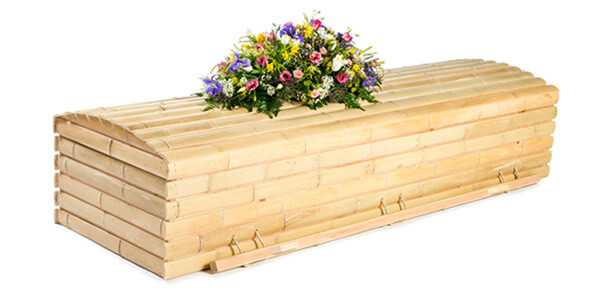 The Pinboo – This coffin combines the look of curved exotic bamboo with the strength of pine. Chosen for its low impact on the environment, and made in World Fair Trade accredited workshops. Pallet Coffin ( Buckfast )– Lovingly handmade within the walls of Newenham Abbey near Axminster in Devon from 100% reclaimed timber, meaning no trees are felled. All the timber used is from used pallets. Beneath the damaged surface is good sound wood that once planed, sanded and buffed has a beautiful finish. Waxed or natural finish. Pallet Coffin ( Axminster ) – Lovingly handmade within the walls of Newenham Abbey near Axminster in Devon from 100% reclaimed timber, meaning no trees are felled. All the timber used is from used pallets. Beneath the damaged surface is good sound wood that once planed, sanded and buffed has a beautiful finish. Waxed or natural finish. 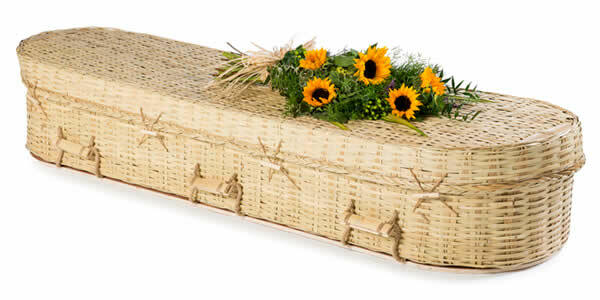 Simple Willow – This simple willow coffin is crafted using traditional methods. It’s 100% natural and biodegradable. 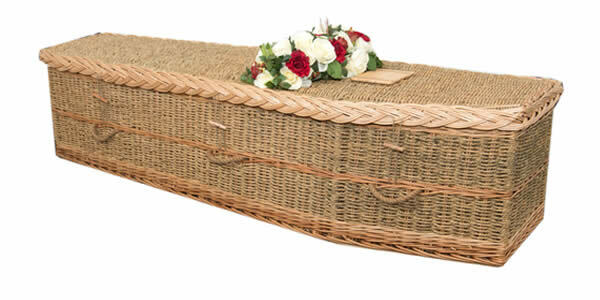 Simple Willow (Oval) – This simple oval shaped willow coffin is crafted using traditional methods. It’s 100% natural and biodegradable. Wild Pineapple – Made from the leaves of a prolific wild plant (nicknamed wild pineapple) which grows rapidly in the watery environments of Southeast Asia and cultivated as a highly renewable and sustainable material. The leaves are dried and then spun into long yarns which are then woven and coiled around a natural cane framework. Rattan is also woven into the design to create a striking contrast against the leaf yarn’s silvery appearance. Manufactured in Indonesia in a World Fair Trade Organization accredited workshop. Available in a rounded or traditional shape. Banana Leaf – Banana cord is made using the dried woven leaves of the banana, an annual plant, after the plant has produced its fruit and died back each year. 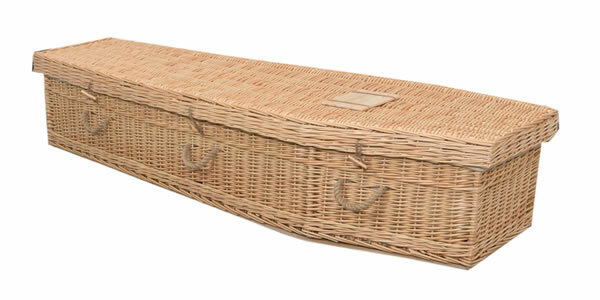 Rattan is also woven into the coffin to create a striking contrast with the banana cords’ burnt golden appearance. Banana plants are often mistaken for trees as their main stem can reach a height of up to 8m but they are in fact the world’s largest known herb. Made in a World Fair Trade Organisation accredited workshop. 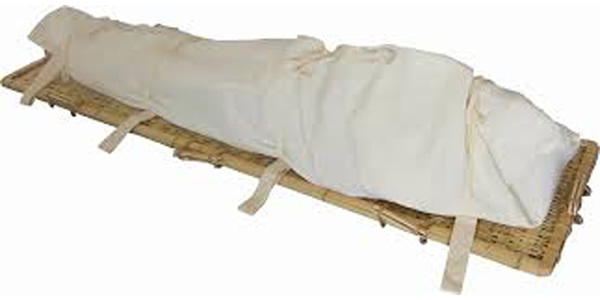 Bamboo Eco – 100% natural and biodegradable bamboo coffin. Available in a round or traditional shape. Shroud – This beautiful, simple, natural and biodegradable bamboo shroud can be decorated with wildflowers, sprinkled with essential oils, used as part of a message writing ceremony or just left as it is. It’s safe and certified for both cremation and burial. Banana Casket – Our casket’s Cerise and Ebony achieve their striking looks through a combination of woven bands of banana, pandanus and rattan dyed in red or black. They are all Fair Trade accredited and 100% biodegradable. 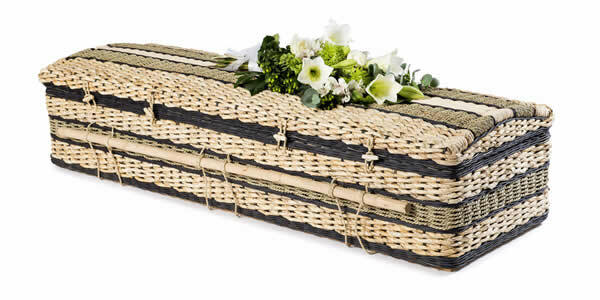 Seagrass – This traditionally shaped coffin is made from sustainable seagrass, designed around a sturdy cane frame, finished with rope handles and willow edging. Seagrass and Willow Teardrop – A beautiful teardrop shaped coffin made of naturally sourced seagrass blended with wild willow. 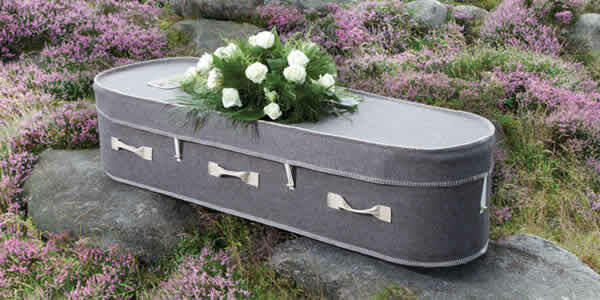 Yorkshire Wool – Made using British wool expertly woven in Yorkshire, this curve-ended coffin comes in a natural colour. 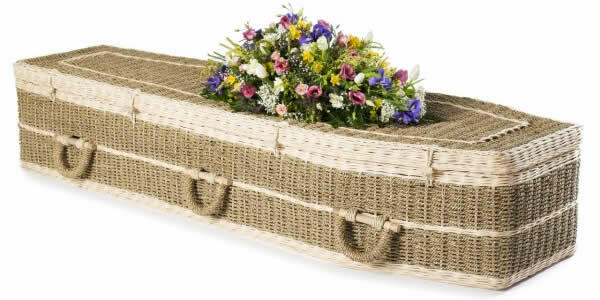 It is a soft and lovely alternative to a traditional coffin. Available in natural or grey. English Willow – Willow has been grown on the Somerset Levels for centuries and has the unique ability to regenerate repeatedly from the same crown for 30 to 40 years and can even grow easily from cuttings. 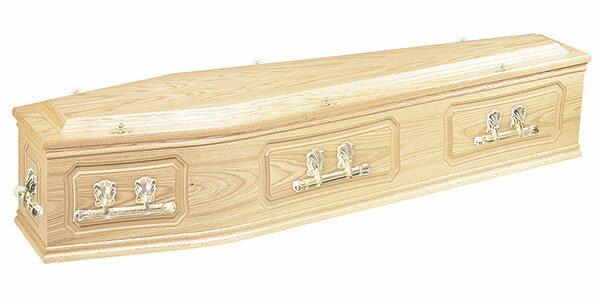 To create a more bespoke version of this coffin, the colour bands can be changed. The colour variations are achieved naturally by boiling and stripping the bark. 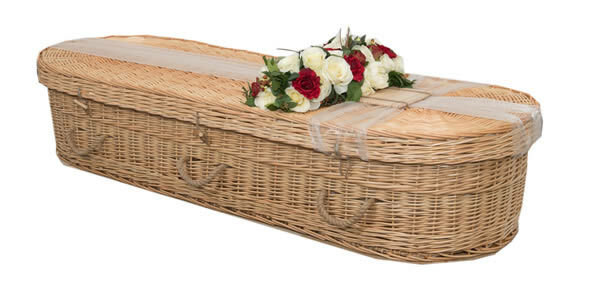 Available in a rounded or traditional coffin shape. 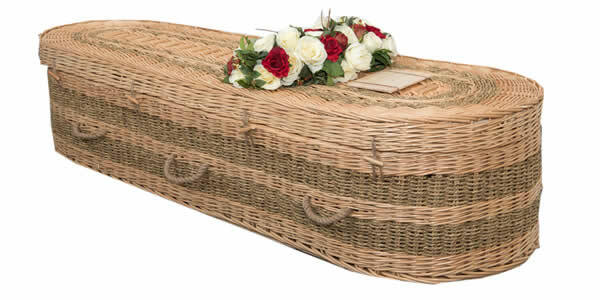 English Willow – Coloured – This English Willow coffin is handcrafted by skilled workers with long family histories in willow weaving, using traditional methods. English Willow has been grown on the Somerset Levels for centuries and has the unique ability to re-generate annually from the same crown for 30 to 40 years. 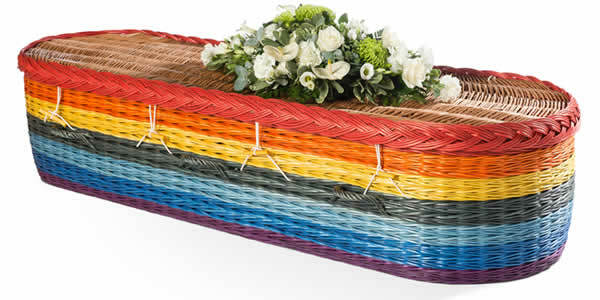 This coffin can be made in a range of colours created with natural dyes to your own design. 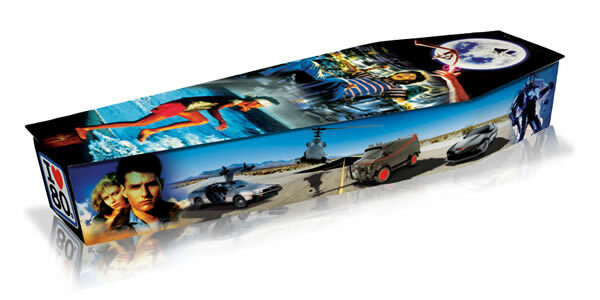 Bespoke Design – A coffin printed with your bespoke design – from Disney princesses to favourite TV shows and pets. Whatever design you want. 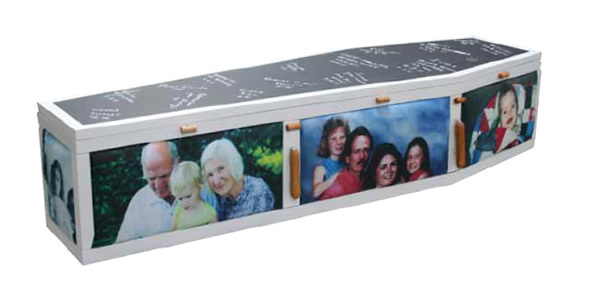 The Pathway – The Pathway is a truly innovative, brand new coffin design comprising of nine panels each bearing a different image, different message or different design of your choosing. 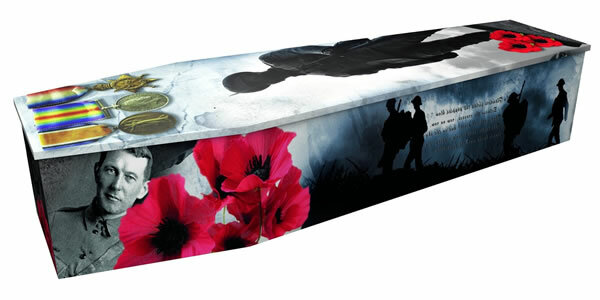 This natural wood, biodegradable coffin allows for a truly unique and personalised send off with each person designing their own section, or each panel marking a different part of the life lost. The top of the coffin is a blackboard so you can write messages. 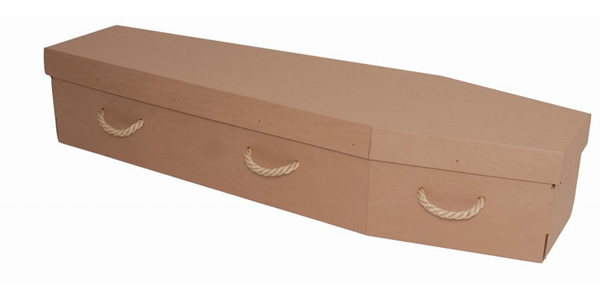 Cardboard – This high quality cardboard coffin is manufactured from corrugated cardboard, which is strong and sturdy whilst remaining lightweight. 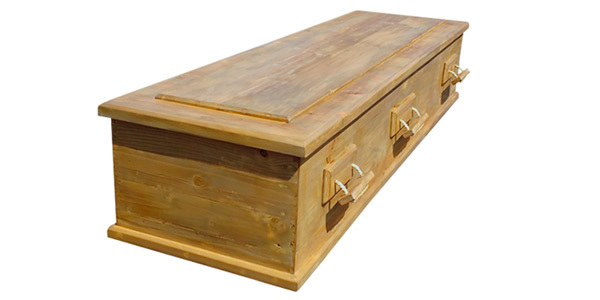 It has been developed as an alternative to the traditional wooden coffin. 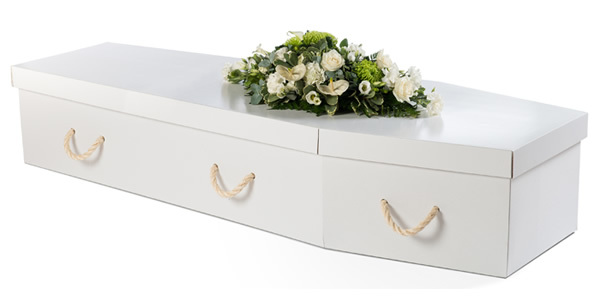 White Cardboard – This high quality white cardboard coffin is manufactured from corrugated cardboard, which is strong and sturdy whilst remaining lightweight. 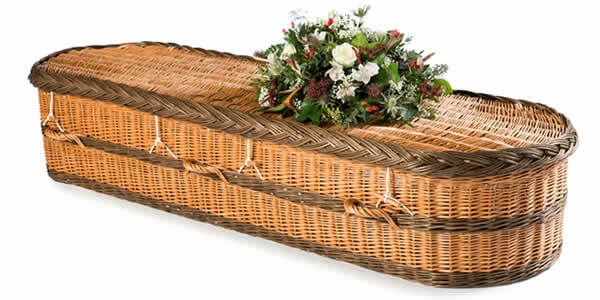 It has been developed as an alternative to the traditional wooden coffin.